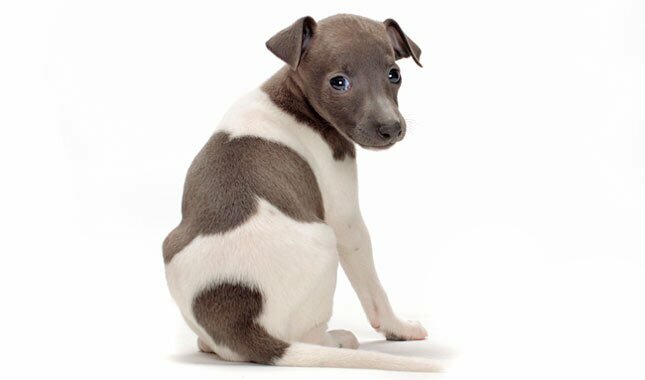 The dog was sacred to Brockway’s friend, and she wanted to honor it, so when the tiny greyhound was eventually ready to make a lifelong commitment, she asked Brockway if and how she could legitimize the relationship with the intended mate—another small Greyhound—in the eyes of the Lord. Brockway says she was accustomed to unusual ceremony requests—one of her brides, for example, did a six-minute modern dance performance for her beloved in the middle of their ceremony—and was often asked to include pets in couples’ weddings, so it made sense that some people would also want to have blessing ceremonies for their pets. This inspired her to draw up instructions on holding a pet wedding, which she published in Pet Prayers and Blessings and in a column for The Huffington Post. That way, she says, anyone sincerely interested in marrying their pets would have the materials to do so. “Most ministers don’t typically do pet weddings, and most people don’t really want an officiant. They want to be able to do it themselves,” says Brockway, who has nonetheless blessed numerous pet couples. Animals have short attention spans, she adds, so expecting them to stand like a human couple for any length of time is a big ask — they get distracted, they sniff, they eat grass, they pee. Get bridal outfits or accessories for the animals (cute, but optional). Prepare a wedding altar by draping tulle or a white cloth over a table. 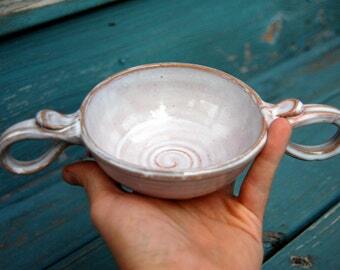 Place a loving cup or special chalice filled with fresh water for the couple on the altar. Bring a camera — you must take photos! Welcome everyone. Puppy love gathers us here. Today, we celebrate the love between a couple that see each other as the cat’s meow. Let us all offer our good wishes and blessings as they enter into sacred union. be uplifted and embraced by love. Needless to say, some humans have gone all-out in the pursuit of such a connection. 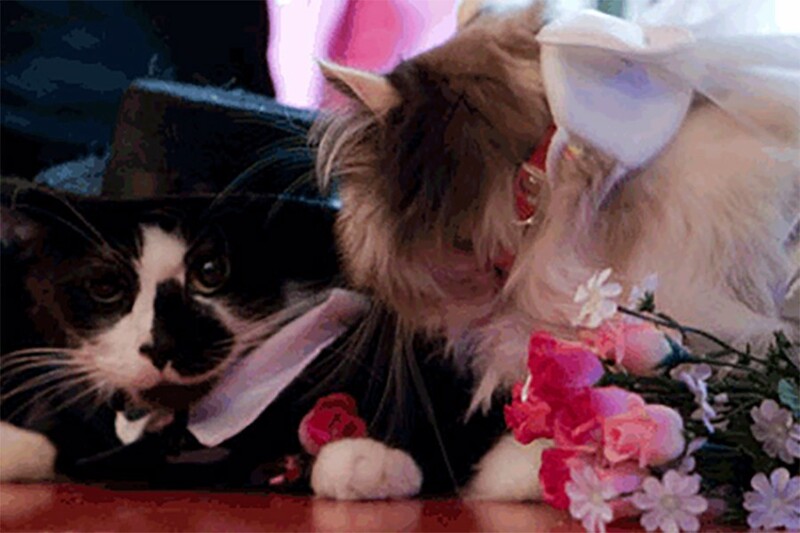 The most over-the-top examples: The 1996 wedding of cats Ploy and Pet (above), which featured more than 500 guests and cost the groom’s owner more than $20,000. 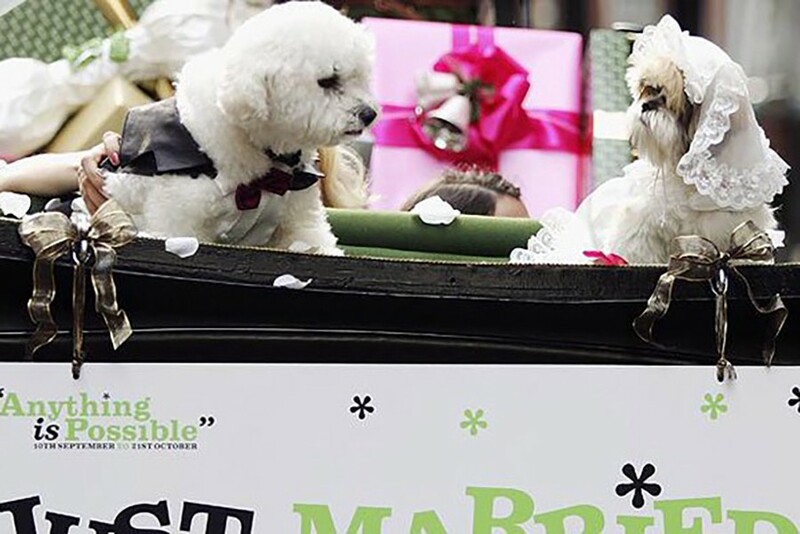 The 2006 wedding of Timmy (a Bichon Frise) and Muffin (a Shih Tzu) at Harrods in London, where the animals were married before God in a church, exchanged kisses and ate wedding cake before being chauffeured away via horse-drawn carriage. 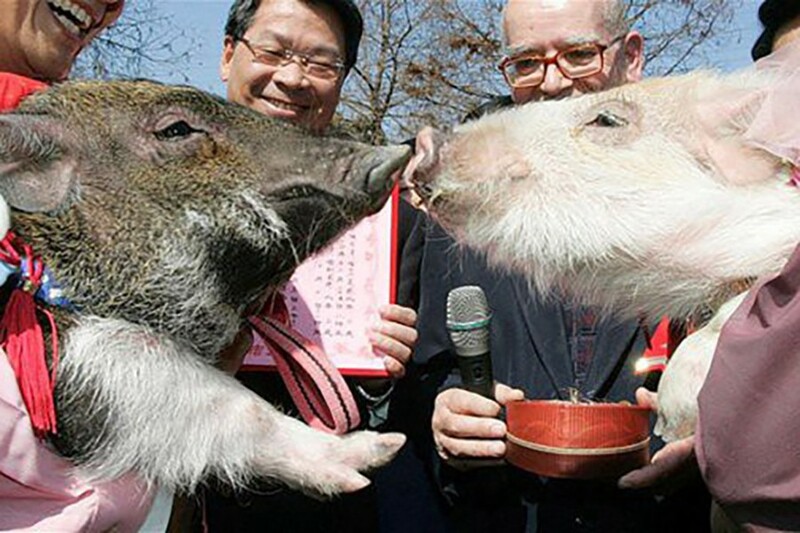 The 2007 marriage of musk hogs Huang Pu-pu and Shu Fu in Japan, an event that included a cake, photographer, wedding certificate and benediction from a Catholic priest. 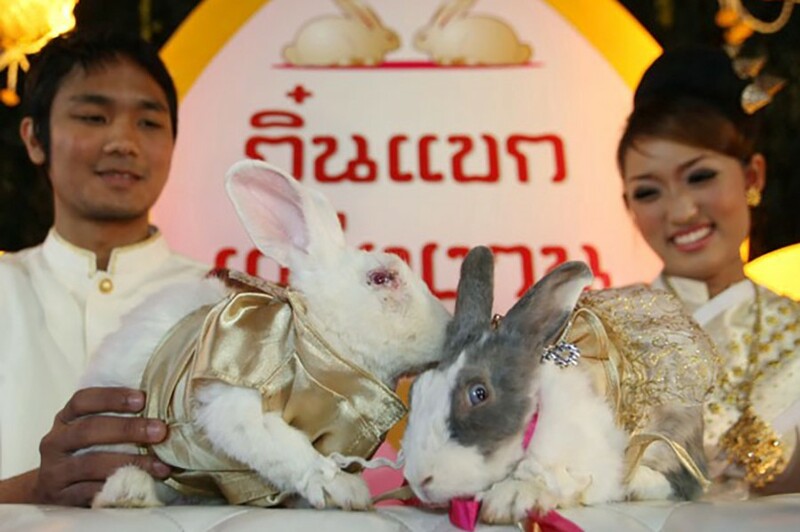 And finally, a 2010 rabbit wedding ceremony in Great Britain that was officiated by a priest and followed by a carrot-juice toast. Afterward, the bride and groom fucked like, well, you know. We now take a special moment for these two to toast their love, devotion and friendship. From the Celtic tradition, we use a “loving cup,” from which these two will share their first sip/slurp as a married couple. To the pets: Today you become a part of one another in sacred kinship. Now, please drink to the love you share. Brockway does say people should be careful who they promise their pet’s love or virtue to. If families are looking at animals as a pair, the pets — and the families — should get along.